With age it gets more difficult to look after the hair and more and more women tend to have a short haircut. Black hair is not an exception. It is really painful to say goodbye to the locks. But it is better to look neat with a short haircut than to look shabby with long dry curls. By the way, you can look absolutely beautiful and feminine with short hair with the minimum time spent on styling your hair in the morning. Short hairstyles can be elegant and graceful. They can add some charm and make you look even younger. We are not only giving you the haircuts options to choose from but we are telling you why a short haircut is the change you are looking for. Short hairstyles draw attention to your eyes from your jawline. It is the best way to create visual volume on your thinning hair. It is easy to look after. You will feel confident and business like. Even if you celebrated your 50th birthday, this doesn’t mean that you should forget about your appearance. A lot of haircuts that are considered to be suitable for older women don’t highlight facial features at all, making them look older. So, make sure that your stylist knows how to create the right short haircuts for women over 50. Of course, if you’ve been wearing long hair, it is hard to change your image so radically. You can choose a longish length first. There is no rule of when exactly you should cut your hair short. 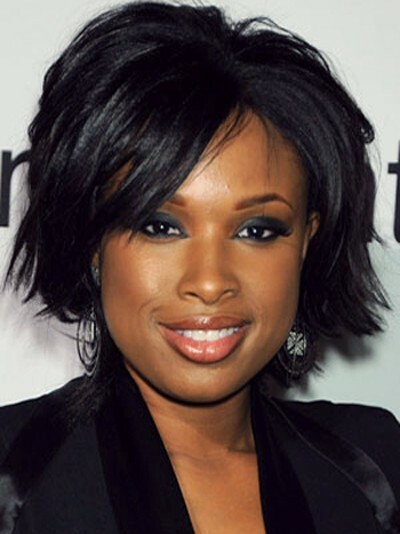 And one more point – pick a haircut basing on your life style, black hair texture and face oval. A sleek look is ideal for a mature woman who is quite ambitious and self-sufficient. Side-swept bangs draw attention to the eyes and hide forehead wrinkles. You will feel free and independent like you’ve just turned 18. All you need to do in the morning is to style it with a handful of mousse when your hair is wet and that’s all. It is also good for women with drying and thinning hair. This hairstyle makes thin faces look fuller and brighter. It is OK for adventurous and modern women who are not afraid to experiment. You can brush your hair down for a decent look or you can brush it in a messy way to have a girlish look. Anyway, you will look superb! Bobs are very popular regardless of age. A bob is perfect for round-faced women who tend to have a classic look. It is elegant and feminine. It is also a good option for those who can’t part with long hair. Let your hair fall freely in curls or straighten them – you’ll look pretty. You can create a new image and look different every day with a variety of hair products. It is elegant, beautiful, and gorgeous. It never goes out of fashion. It will visually make your hair look thicker. While brushing your hair, always brush it inwards to keep the volume. It is a good idea for business ladies as this haircut always looks neat and sophisticated. A short shag haircut is a great option when you want a style that expresses your active way of life. Bouncing locks will complete the image. This hairstyle is a perfect short haircut for women over 50 as it does not only give you a funky look but is also very easy to maintain. A short bob with side-swept bangs is the perfect idea as it creates an image of an easy-going flirty look. It is a good option for women over 50 who are young at heart and lead an active life.